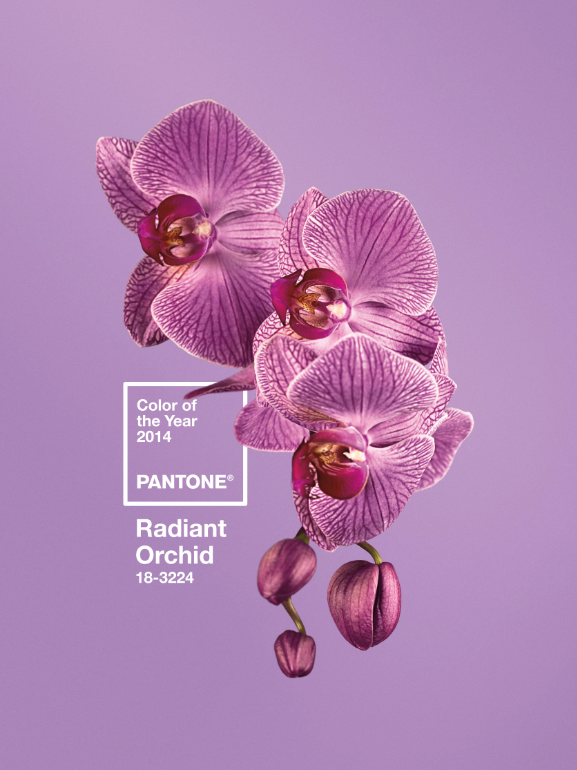 It is January 1st, 2014 and it is officially the year of Radiant Orchid! Hopefully everyone is recovered from last night and ready to delve into this pretty purple hue. 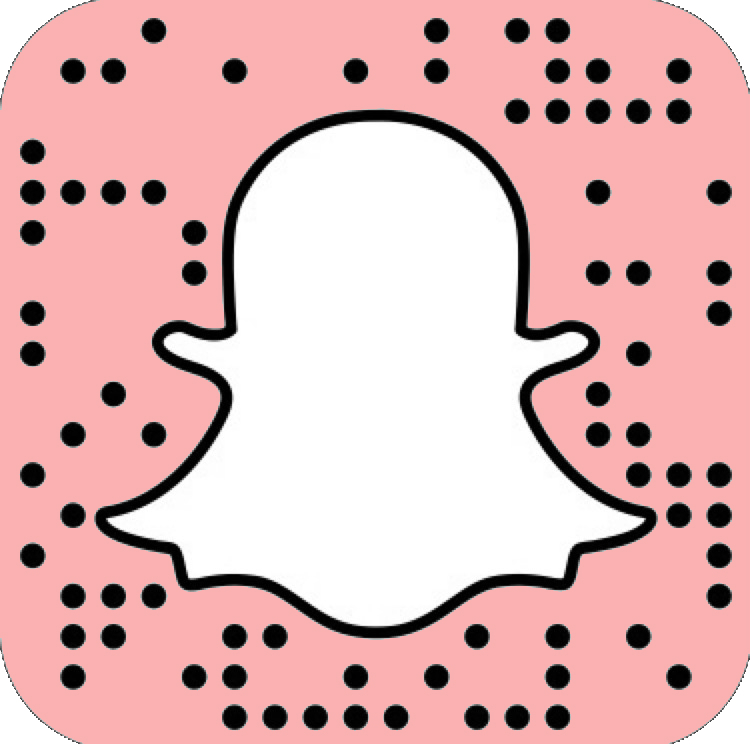 As a partner of Pantone, Sephora will undoubtedly be releasing their radiant orchid collection soon, but that doesn't mean you have to wait to incorporate purple into your beauty routine. Given the name of the color, I thought these orchid nail wraps from NPW were perfect. I found these at Urban Outfitters for $6. Laura Mercier hand cream in fresh fig is the perfect way to hydrate your skin while keeping with the violet theme. 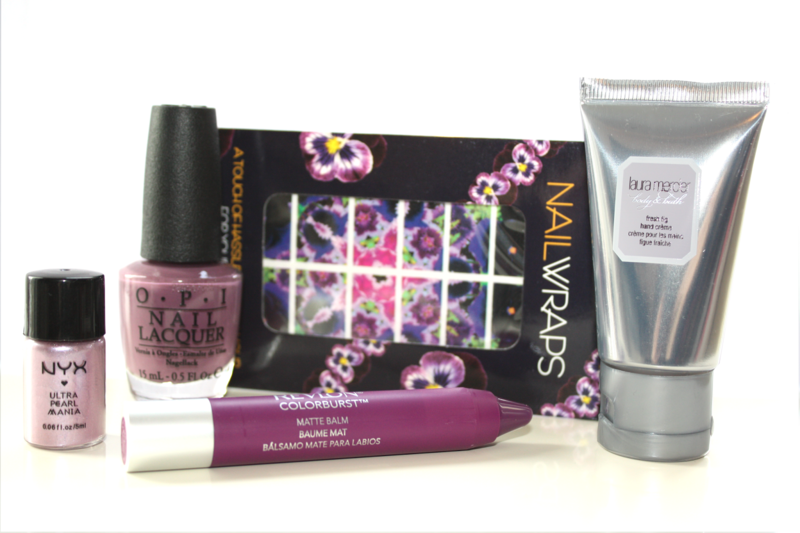 Nail polish will be the easiest product to match the color of the year, OPI's I'm Feeling Sashy and Do You Lilac It? are good options. Pigments are great for a light wash of color and this affordable shade by NYX in Lilac Pearl is perfect for inner corners or your lower lashline. 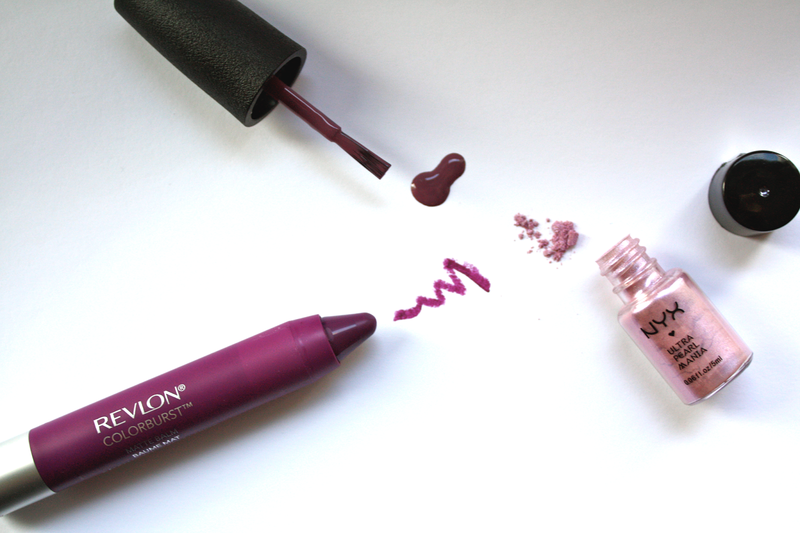 Lastly, Revlon Colorburst Matte Balm in Shameless is a pretty purple that can be worn alone or added to pinks to create a lighter orchid shade.